Fitness, video games, Krav Maga, music, food and family! After I had been to the gym on Saturday morning, the whole family went to Ekebergparken. This park is supposedly the world's only 'female sculpture park'. Liv-Kristin has wanted to see the park for some time now, so by pure luck we ended up in the park while searching for an awesome hill to go sledding down. We found a map over the park, which helped a lot in navigating the park (i.e. finding where we wanted to go sledding). After strolling around for a while we found a couple of statues and monuments. So now you've seen the Bjerkøe family at it's cultural maximum. Although I might not understand all of the sculptures, or the meanings behind them, I still find that looking at them gives me some sort of pleasure. Needless to say, we had a blast sledding down the walkways. Matheo tried by himself at the end, and he went down crazy-fast. 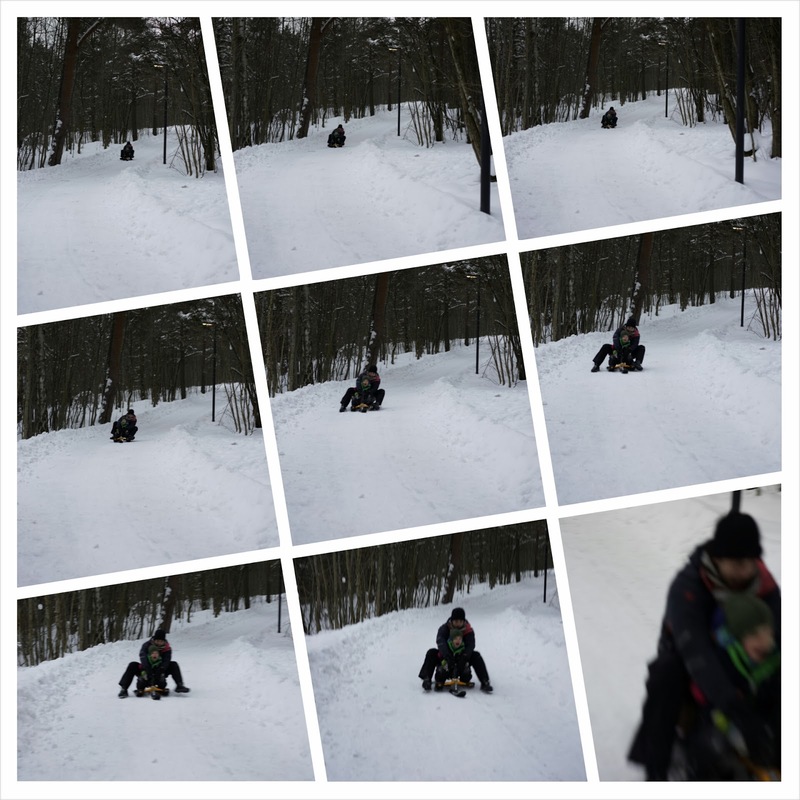 But pulling the kids on the sled all day, and going up the hill time and time again sure drained all of the energy out of me (plus workout in the morning). I'm definitely counting this as a cardio workout. Awesome win! No more excuses! Push push push! Summer Is Here! Posing And Comparison Time! All text and pictures are copyrighted to Richard Bjerkoe. Theme images by fpm. Powered by Blogger.